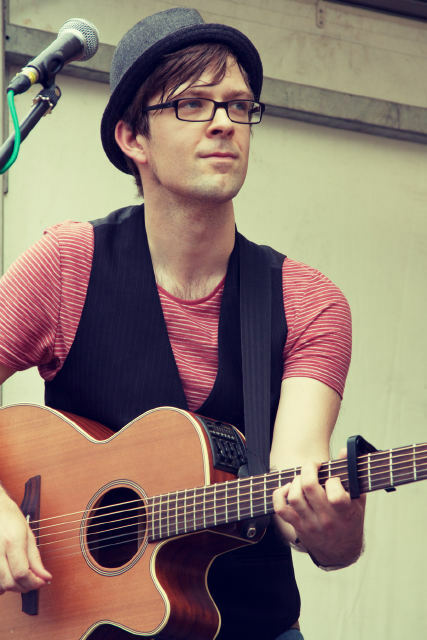 Stylusboy is Steve Jones, an English singer-songwriter who has built up a reputation as part of the UK’s acoustic music scene. His lo-fi alternative folk sound and heartfelt lyrics make his recordings and performances deeply personal affairs. This year his Whole Picture EP has brought him increased exposure in the UK and it’s available worldwide via his Bandcamp page. After the meteoric rise of Mumford and Sons, it’s time for other artists influenced by the English folk tradition to come to wider attention. Stylusboy’s Whole Picture will appeal to anyone who enjoys gentle, earnest indie-folk.